I’ve been trying to find something affordable to cover the ugly chain link fence along the south side of my yard for over four years now. So, I was pleasantly surprised to find 6′ x 15′ rolls of reed fencing for $22 each at Lowes. I didn’t know such a thing existed! I picked up five rolls and started covering the fence the VERY SAME DAY. The front yard after picture is above. I don’t have any before pictures because I hated the fence so much I never took pictures of the flower beds. The back yard ‘in progress’ picture is below – you can see the weeds growing from the neighbor’s side of the fence. As you can see, I still need to do some trimming but it already looks 100 percent better. Anyone can do this little project in a couple hours. All you need are the rolls of the reed fencing and some black zip ties. 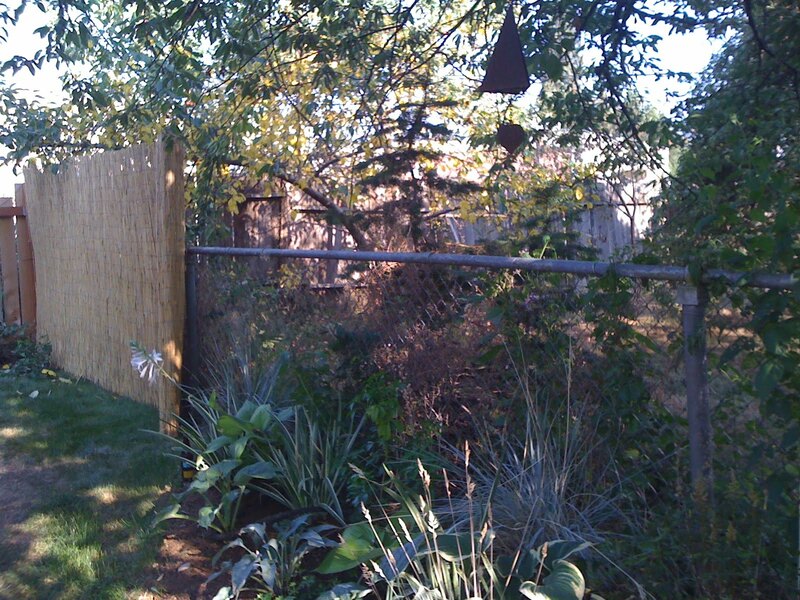 Update 4/29/2012: Our fencing lasted almost 3 years in our wet Seattle weather. 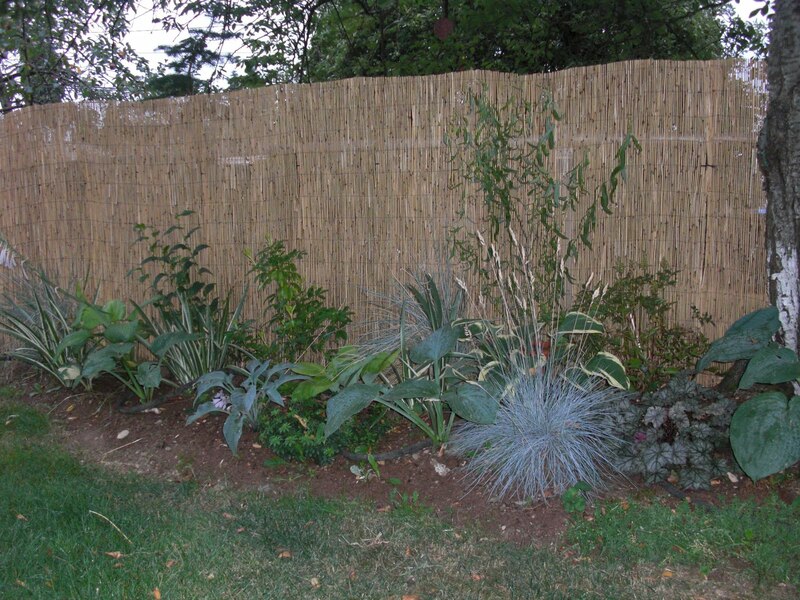 I just ordered some bamboo fencing (at $60 for a 4′ h x 8′ w roll) to replace the reed fencing — in hopes that it’ll last a little longer. This option is a little more expensive. But now you can't see Snickers. Looks fabulous! Wow! Looks great, plus look at all those great looking hostas! Jenn, You should totally do it! I love how much the flowers/plants stand out now. It also covers up the neighbor's yard a bit but I can still chat with them over the fence. Sara, Snickers (neighbor's dog) can still see through the reed enough to bark at strangers – that and I can talk to her over the fence still. Jen, Thanks! You should see the hostas in my front yard! I may need your help to ID them all later. I don't think I have names for any of them. Thanks for this great idea! I have been looking to do something similar and am now inspired! Nice! I’m doing the same thing with a 6ft chainlink my back neighbor has a field that has overgrown about half the fence! I’m excited and glad u said it was easy…I hoped it would be! 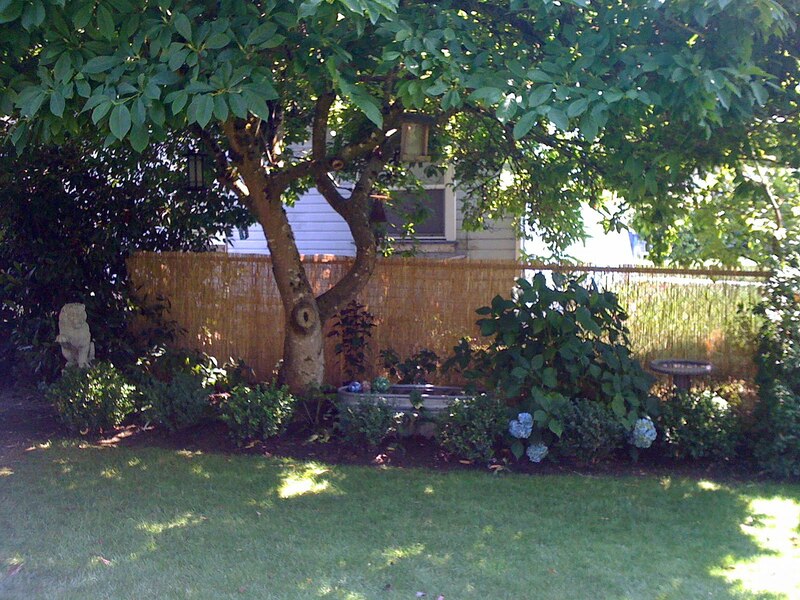 Hi There….we are seriously considering doing the same to our 5 ft. chain link due to neighbor issues two doors down. One issue is that our yard is on an incline. Not a huge hill, but inclines slightly as you walk through the yard. Do you think that will be a problem? Will the fencing look off? BTW…thanks for this thread. It has been helpful in our decision making. Shawn & Erin in PA. I have read this post and if I could I desire to counsel you some interesting issues or tips.